Yossi Benayoun, ‘the Diamond from Dimona’ as he is affectionately known as in his native Israel, or ‘Yossi Benyanoon’ to David Pleat, has been plying his trade in English football for the past seven and a half years. He can be easily discarded as a nomadic football journeyman, but that would not do justice to a backstory often overlooked, a talent often underestimated and under-appreciated. He began his footballing journey as a 9-year old, back in 1989, when his precocious talent earned him a youth contract with Liga Leumit side Hapoel Be’er Sheva. To attend training, Benayoun regularly hitchhiked the 60km roundtrip with his father; the club was the only senior side in the Negev desert. Hailing from one of the smallest and poorest cities in Israel, Dimona, Benayoun’s ambition as a youngster was only ever to reach the pinnacle of the sport in his own country. Benayoun never reckoned with his own burgeoning ability; by the age of 11 he was labelled a ‘genius’ and as a teenager his face was adorning Israeli magazines. By 1995 the then European Cup holders, Dutch club, Ajax were alerted to Benayoun’s promise. The prospect of joining the Amsterdam club’s prolific youth academy proved irresistible for the Israeli, as he, along with his family, uprooted to the Netherlands. This down-to-earth persona has stuck with Yossi Benayoun throughout his career. His gravitation towards the prestige and popularity of the grander European leagues was never for the want of riches or adulation, but for his love of the game. Upon leaving Holland, he and his family returned to Israel, where, in the 1997-8 season Benayoun was promoted to Hapoel Be’er Sheva’s first team. The club were relegated on the final day of the season, but the 17-year old finished as the fourth highest goal-scorer in the league with 15 goals. Benayoun’s instant adaption to professional football earned him a transfer to Israeli giants, Maccabi Haifa, where he played between 1998 and 2002. 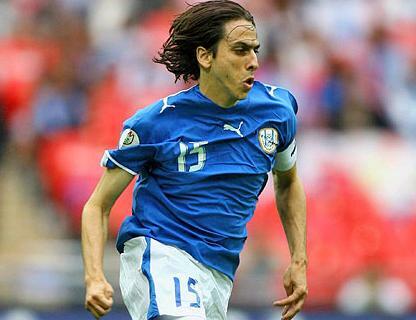 In 130 appearances, whilst contributing 55 goals, Benayoun helped the club, managed by compatriot Avram Grant, to successive Israeli Premier League titles in 2001 and 2002, which remain the sole club honours in his career to date. The Israeli’s sustained form brought him a move to Spanish side Racing Santander, where, in three seasons, he mustered 21 goals in 101 appearances. After rejecting a move to CSKA Moscow in 2005 he embarked upon his prolonged stay on English soil when he switched La Liga for the Premier League and joined Alan Pardew’s newly promoted West Ham United in a £2.5million deal. Benayoun’s arrival in English football was both understated and unheralded; not many were familiar with his rise to prominence, but his undeniable flair and unstinting work ethic won him substantial admirers. One such suitor was then Liverpool boss, Rafa Benitez, who harnessed his mercurial talent during a three-season stint on Merseyside. It was with Liverpool, and more importantly under Benitez, where Benayoun enjoyed the best period of his footballing career. After a first season in which he largely flattered to deceive, Benayoun stagnated during the 2008-9 season on the periphery of the first-team squad. His defining moment, the turning-point of his season, maybe even his career, arrived on 25th February, 2009 at the Santiago Bernabéu. It was the 82nd minute of a first leg in the Last 16 of the Champions League. Liverpool were holding Real Madrid to a stalemate until Fabio Aurelio swung a free-kick from the right-hand touchline into a crowded penalty area, where an unmarked Yossi Benayoun, the smallest man on the pitch, headed Liverpool to a memorable victory. In typically understated fashion Benayoun has described it as “the most emotional goal of my career” – it transformed his career on Merseyside, along with both his reputation and legacy elsewhere. Benayoun prospered as a regular starter in Benitez’s 4-2-3-1 system, he provided the artistry behind the power and poise of Steven Gerrard and Fernando Torres. Between the end of February and May Benayoun enjoyed a spectacular run in the first-team, including a late winner at Fulham and a brace against Arsenal in a 4-4 thriller. As Liverpool’s form plummeted in the 2009-10 season, Benayoun remained a mainstay in the team and one of its most consistent performers, cementing a firm relationship with the Anfield faithful. Since his departure to Stamford Bridge in July 2010, Liverpool have struggled to replace his guile and creativity. It seems churlish, given Benayoun’s meteoric rise from rags to riches, but he is one of the unluckiest and most unfortunate footballers in the recent history of the English Premier League. He came within four added minutes of winning the FA Cup at the end of his debut season in England; future club-mate Steven Gerrard saw to that. At Rafa Benitez’s Liverpool he was a helpless bystander as the cornerstone of their success disintegrated in the 2009-10 season. After Chelsea’s, then English Champions, free-scoring beginning to the 2010-11 season, the Isreali ruptured his achilles in September and did not return to first-team action until April. In the meantime Chelsea’s title challenge collapsed and the manager who had signed him was awarded his P45. Since Carlo Ancelotti’s departure from Chelsea he has struggled to justify his worth to successive managers, making just a solitary first-team appearance under Andre Villas-Boas, and has subsequently found himself the subject of loan periods at Arsenal, and now, this season, back at Upton Park. It remains too early to judge Benayoun’s second stint at West Ham, but during the 2011-12 season, Chelsea’s loss was certainly Arsenal’s gain. 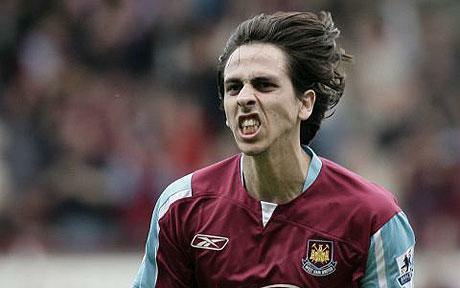 Benayoun’s move to the Gunners came in unusual circumstances. In a rare loan move between Top Four sides, the Israeli was one of the deals Arsene Wenger found as he rummaged around the bargain bins on deadline day, looking to find some replacements after the big name departures of Samir Nasri and Cesc Fabregas. Arsenal had left their business late and at 31, Benayoun was the oldest in a string of players all over 26 who joined on August 31st 2011. Despite playing for three rival clubs, Benayoun managed to work his way into the hearts of Arsenal fans over the course of the 2011/12 season. He proved vital in the run-in that season as Arsenal had to make up lost ground on a Top Four finish, and crucially a place in the Champions League. Initially, Benayoun was used sparingly in the League and rarely started. Instead, his appearances were more prominent in the Cup competitions, scoring against Shrewsbury Town in the League Cup and Olympiakos in the Champions League. Benayoun was also handed the captain’s armband in a 1-0 defeat to Manchester City in the League Cup. Other than to serve as an experienced head in the dressing room, there were still some question marks over his role in the side. In December, Benayoun would begin to answer some of those critics. Away at Aston Villa with Arsenal drawing 1-1, Wenger flung on Benayoun with nine minutes to go. As the Israeli darted around a drab Villa Park, there was only one player who was going to score the winner. In the 87th minute, he headed in a Robin van Persie cross to send the travelling supporters into delirium. His name was chanted long into the night. Benayoun celebrates a late winner at Villa Park during the 2011-12 season. It was in the New Year that Benayoun showed his worth as utility man extraordinaire, the ultimate big game player. In the 5-2 North London Derby victory in February that proved to be such a catalyst for Arsenal’s season, Benayoun started and put in a relentless shift that Spurs simply couldn’t handle. He was similarly instrumental in Arsenal’s 2-1 win at Anfield a month later and also started against Manchester City as the Gunners won 1-0. While Arsenal weren’t able to beat Norwich City at home, he scored a brilliant curling effort as Arsenal put together a string of results that saw them overtake Tottenham and Chelsea to finish third. It was fitting that his last game for Arsenal came when they needed him most. The attitude of recent Arsenal sides has often been questioned and who better to take heed from than the 90 time Israeli international and captain? Benayoun opened the scoring as Arsenal scraped past West Brom to secure third place, and consequently Champions League football for another season. Despite failing to claim a winner’s medal during his time in England, he holds the rather prestigious record of being the only footballer to have scored hat-tricks in the Premier League, Champions League and FA Cup – all for Liverpool. He is undeniably, Israel’s greatest export to the Premier League; only compatriot Eyal Berkovic comes close. Many amongst the Arsenal faithful would have been happy to see Benayoun sign permanently at the club, but his priority always remained the same – he wanted regular football and stated he would be prepared to move on if he had to. In an age where so many are prepared to benchwarm for their pay-packets, like Florent Malouda, currently rotting in the Chelsea Reserves, Benayoun’s attitude is admirable and a firm reminder of the reason he left his family and native country; his love for the beautiful game. This entry was posted in Player profiles and tagged ajax, alan pardew, arsenal, arsene wenger, carlo ancelotti, champions league, chelsea, hapoel be'er sheva, israel, liverpool, maccabi haifa, premier league, racing santander, rafa benitez, sam allardyce, the diamond from dimona, west ham united, yossi benayoun by The False Nine. Bookmark the permalink. Good informative article. I played with Yossi the summer he moved to Ajax, was running a youth cp in Dimona. Yossi was a 15 year ultra skinny kid, we were 18 and had some decent players; he ran rings around everyone on the pitch, even then it was obvious the kid was destined for greater things. It was a shame Ajax didn’t work for him but I remember thinking that he was too young and too unworldly to move to a major team at that age. The boy should have come to Spurs, we’d have loved him! Great read. Never knew anything about his back story but I always loved watching him play. During the many times I saw him play at Anfield he did some majestic things and he is a truly underrated player. I think that decision not to stay at Ajax has cost him a long career at the highest level. I hope he doesn’t regret it. Hi, James here. I remember I was at Anfield on his debut against Toulouse in August 2007. I wasn’t expecting much and was pleasantly surprised by how intelligent his decision-making was. It’s one thing to be easy on the eye, another thing entirely to know what to do with your skill. For all the talk of Liverpool never replacing Alonso, they’ve never replaced Yossi. Interesting about his time at Ajax. Would imagine if he stayed there he’d have won more trophies and his career would have taken on a different trajectory, could have seen him playing in Italy and longer in Spain. To have played for 3 of the biggest teams in England though, after rejecting the biggest team in Holland, he’s done pretty well for himself.